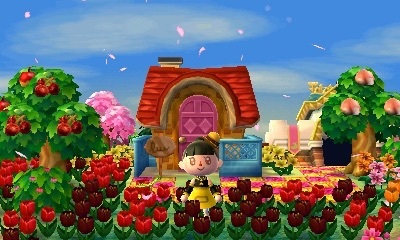 My DA is 4200-4401-7842 for a self-tour! 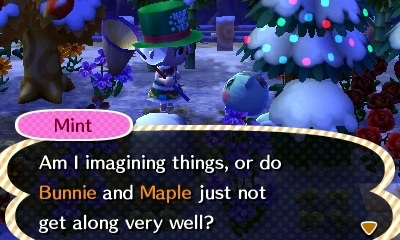 Dream visitors are always welcome. 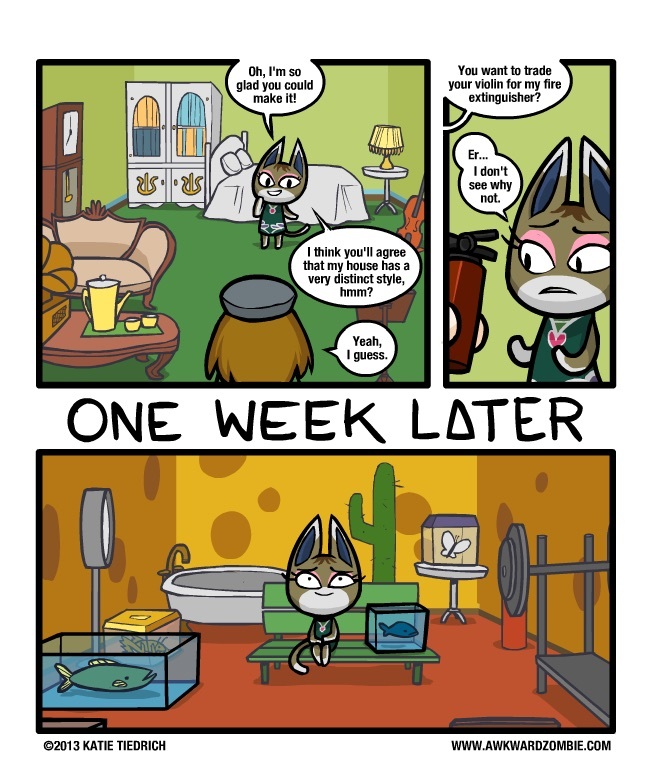 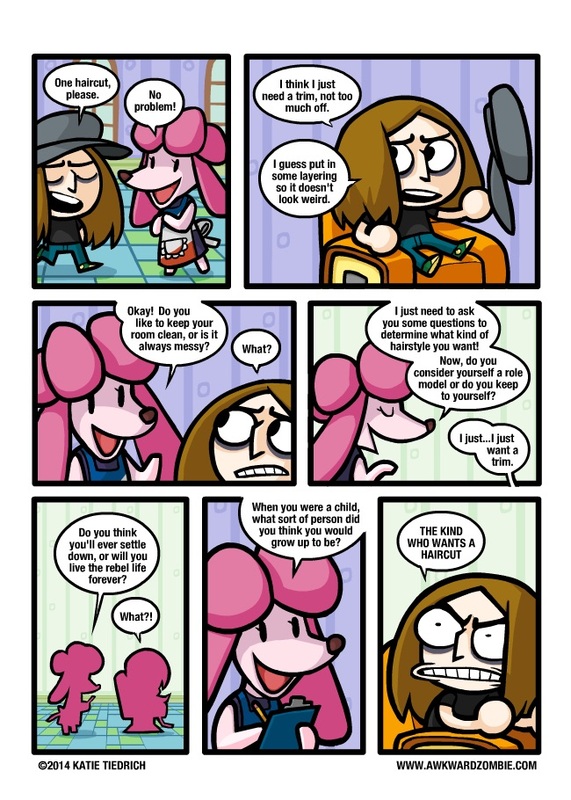 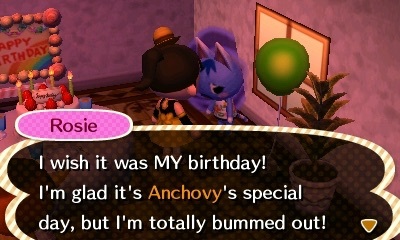 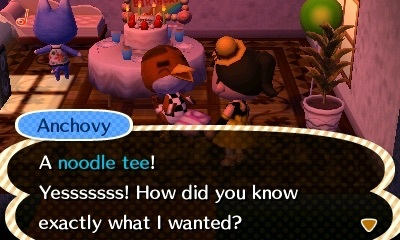 Rosie ended up coming to Anchovy’s party, too, pretty funny actually. 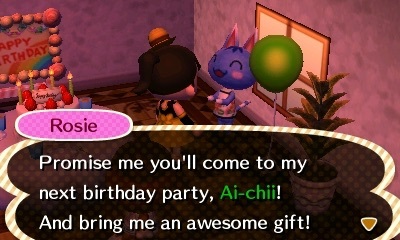 His other party guest, however, seemed a bit less enjoyable than last time. 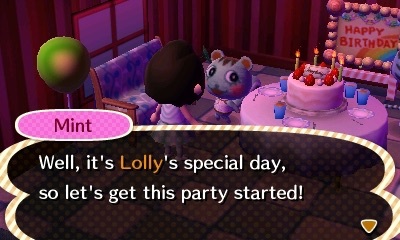 Lolly’s birthday happened recently (I’m still trying to catch up on time, I’m still in April), Mint came along on her party. 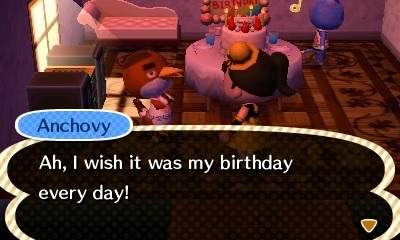 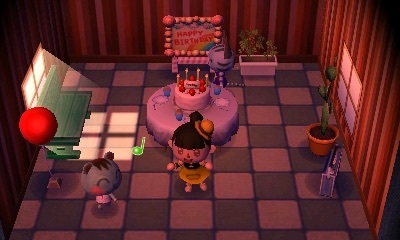 In Starpass, I’ve obtained more dream villagers, one of them had a birthday, too. 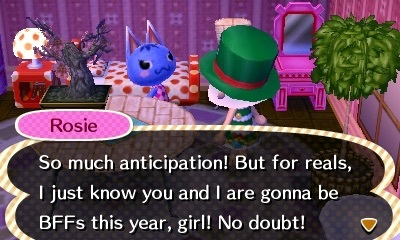 I’m not dead, I promise! 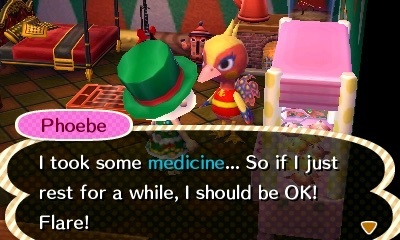 I’ve still been playing ACNL (though not as often), but I had other concerns such as school and sports plus other things Now that the year is almost ending I may get back into posting (but finals are coming up too so a mini hiatus might be coming up). 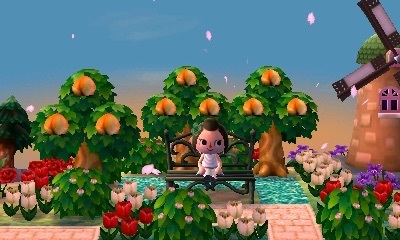 Posted on May 13, 2015 Leave a comment on I’m still here! 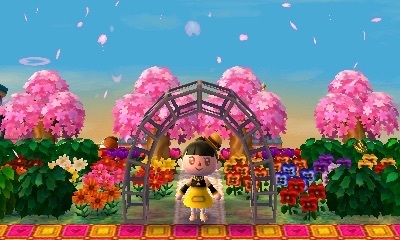 Hey everybody…I’m back from my short hiatus School and sports have taken up a lot of my time, so I won’t be writing as much. 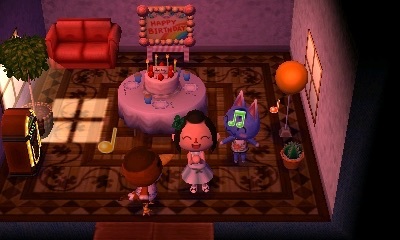 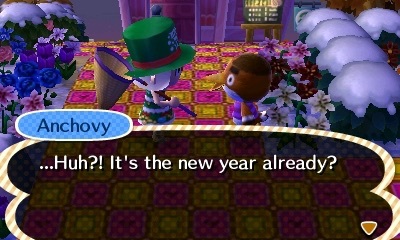 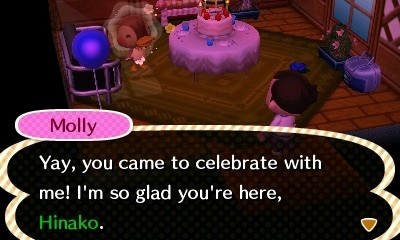 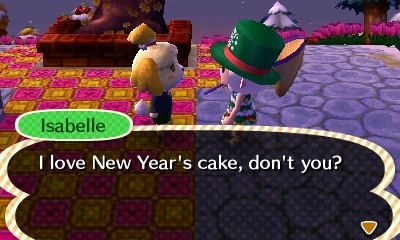 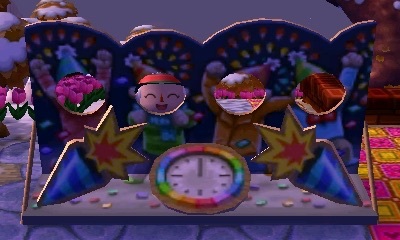 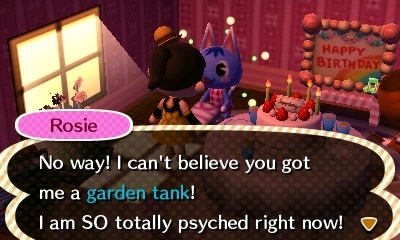 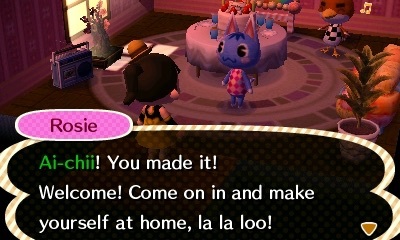 But I would like to say that I got my second town around a few weeks ago! 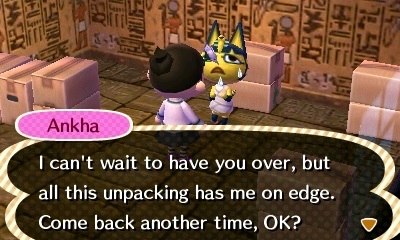 Here are my dream villagers for Starpass: Ruby, Octavian, Molly, Poppy, Ankha, Savannah, Mira, O’Hare, and Rudy! 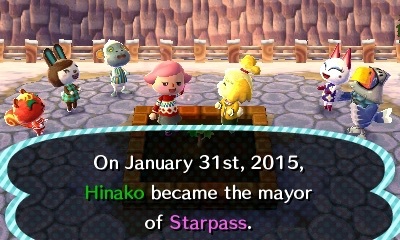 I plan to make Starpass an urban astronomy-themed town with illumination PWP’s and the modern ones as well. 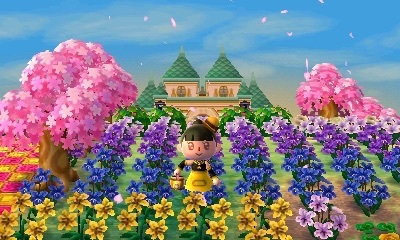 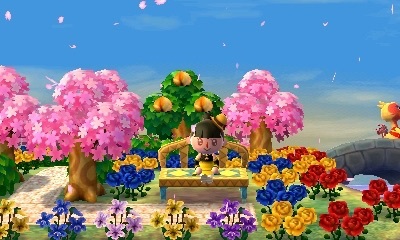 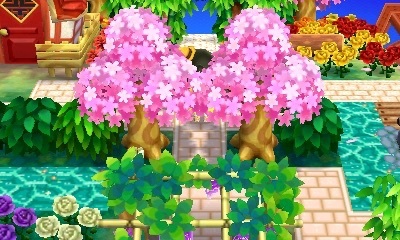 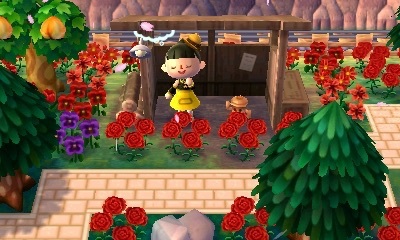 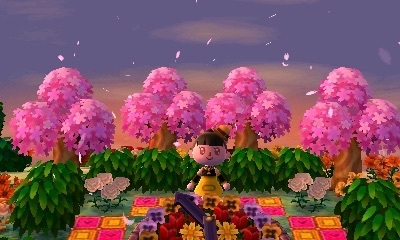 I also plan to have nice little nature areas, too 😀 But I haven’t actually made much progress towards this yet, I’m currently plot resetting another dream villager I recently adopted, it’s been two weeks now >.< I hope to make some progress soon though! 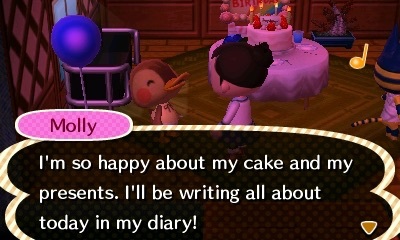 Sorry for the slight delay in this post, break has just ended for me so I’m easing back into school *__* I promise there will be posts, though, and I’ll try to update regularly if I find the time to. 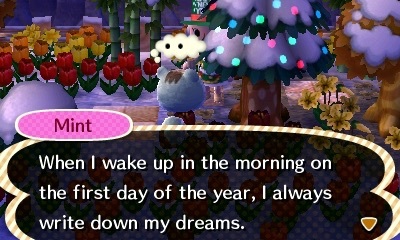 Starting off, New Year’s Day! 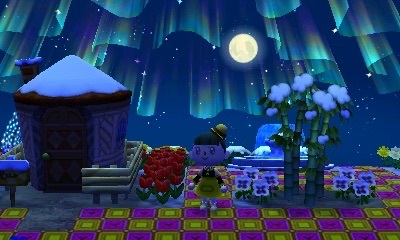 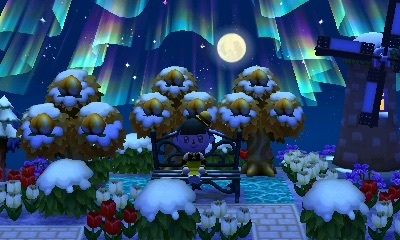 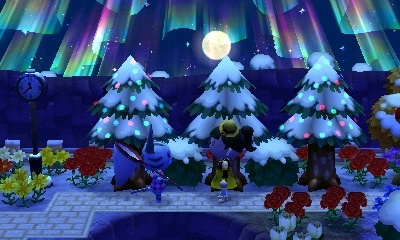 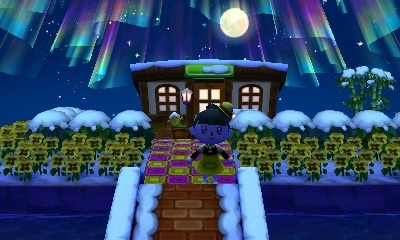 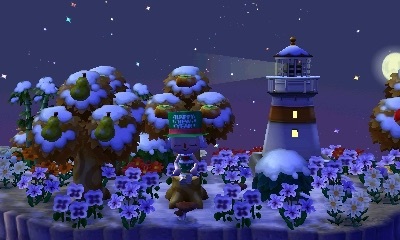 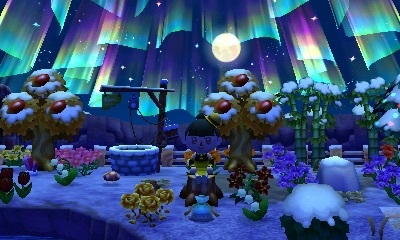 So that’s all the New Year’s Day pics that I have, the next few days, however, I got an aurora in my town, so I want to share a few pics I have with the scenery in my town. 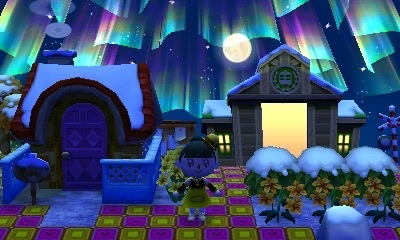 The aurora is just starting to shine. 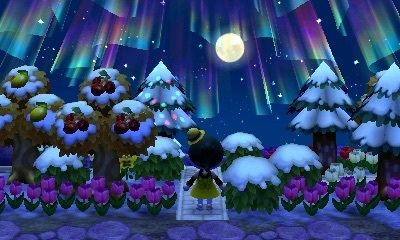 Took this at the residential area near the fountain. 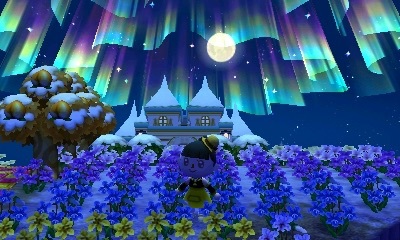 As you see, I took a lot of lovely screenshots of the Aurora 🙂 It’s definitely quite a sight to see. 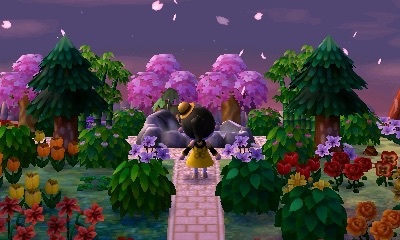 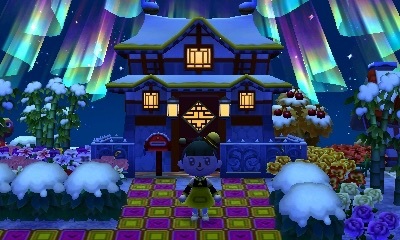 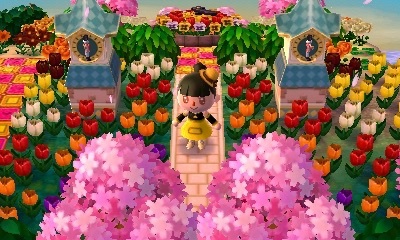 I also updated my dream town with the Aurora, so feel free to check it out. 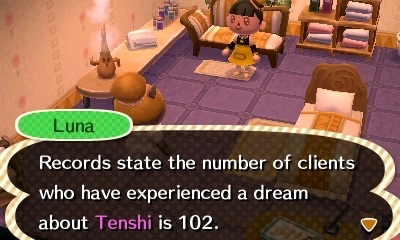 My dream address is at the sidebar under “Tour Guide of Tenshi” (or at the top if you’re on mobile). 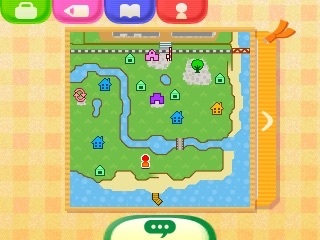 Or if you want to see it here, it is 4200-4401-7842. 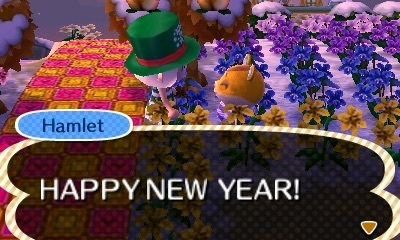 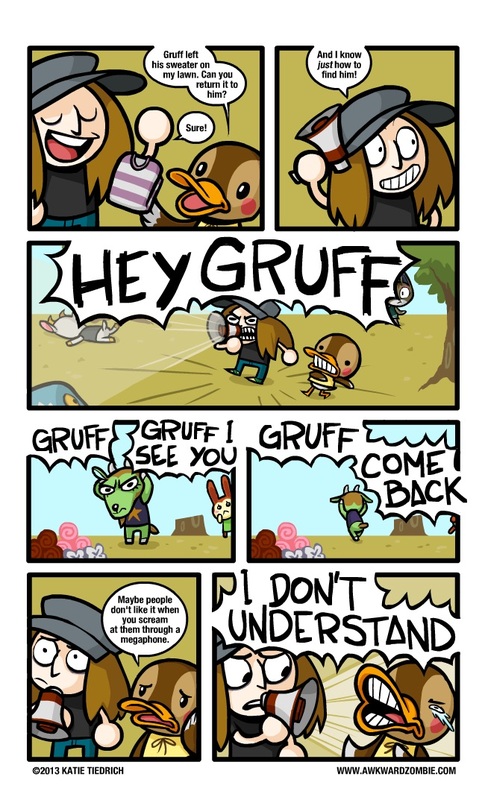 See you around!